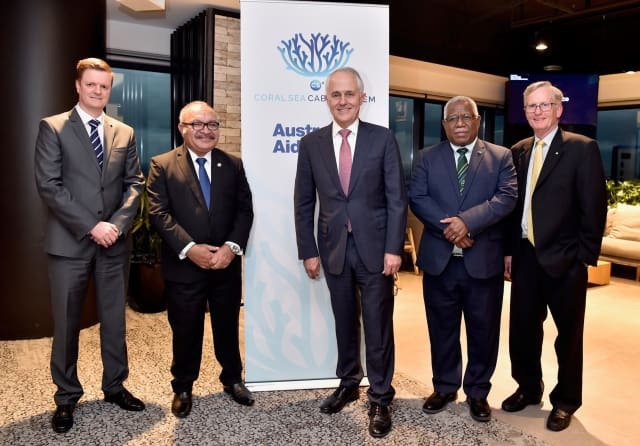 On 11 July, Australia, Papua New Guinea and Solomon Islands signed a Memorandum of Understanding relating to funding arrangements for the Coral Sea Cable System (CS²) and domestic network in Solomon Islands. CS² will provide high-speed internet to Papua New Guinea and Solomon Islands and reinforce the strong ties between the three countries. The Coral Sea Cable will enable local businesses to access new opportunities in the global market. This will result in substantial economic and development benefits for both countries. For Papua New Guinea, the Coral Sea Cable System will provide significant improvements to internet reliability and quality, facilitating closer economic integration in the Pacific. For Solomon Islands, the Coral Sea Cable System will be supplemented by a domestic cable network, which will see the economic, and social benefits of high-speed internet extend beyond Honiara, linking to Auki (Malaita Province), Noro (Western Province), and Taro (Choiseul Province). Australia will fund the majority of the project, with co-contributions from Papua New Guniea and Solomon Islands. This significant infrastructure investment reflects Australia’s commitment to stepping up our engagement in the Pacific. The Coral Sea Cable System is scheduled for completion by the end of 2019.